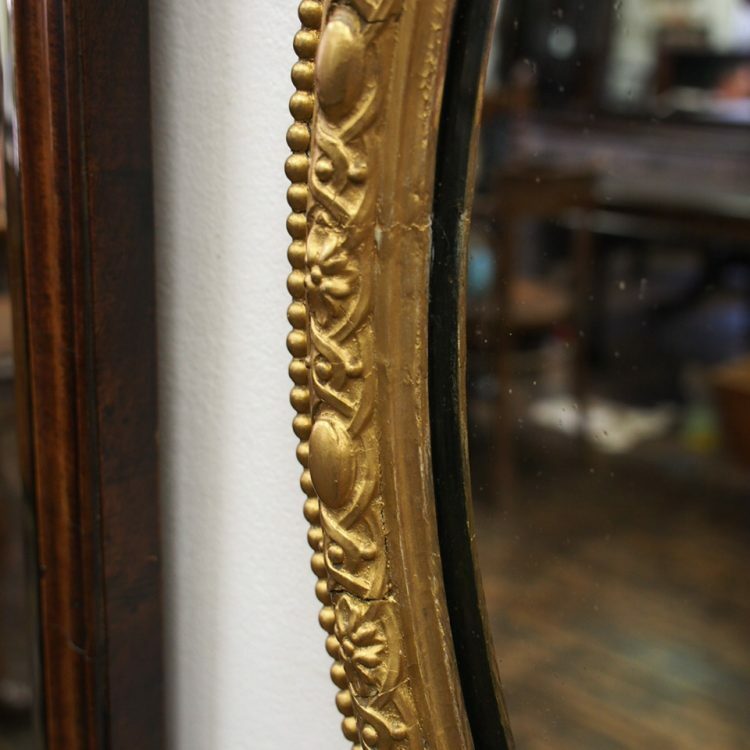 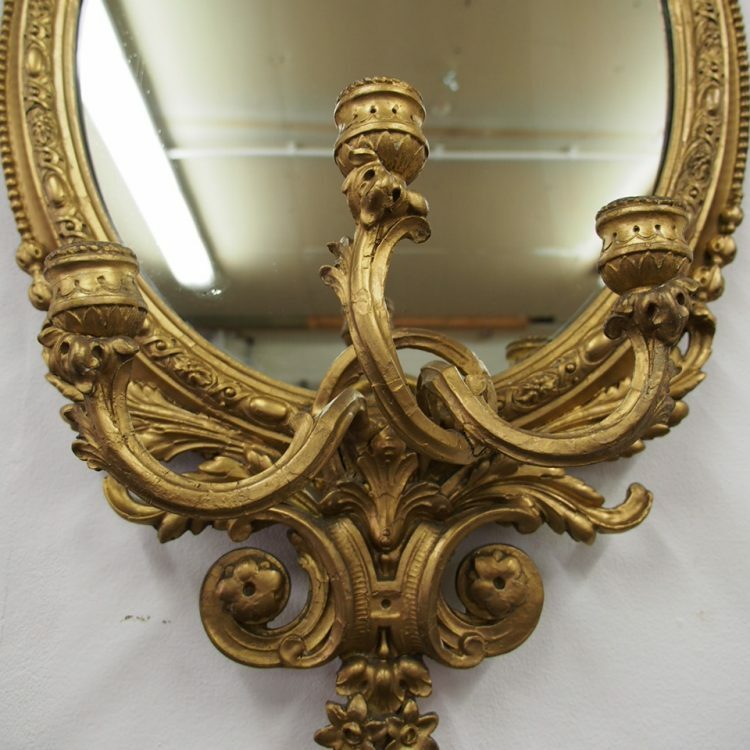 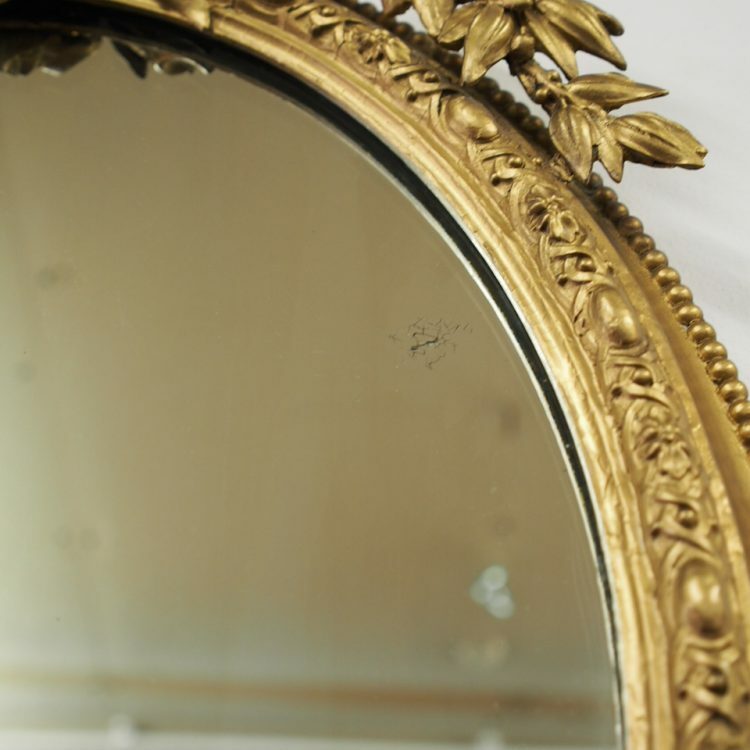 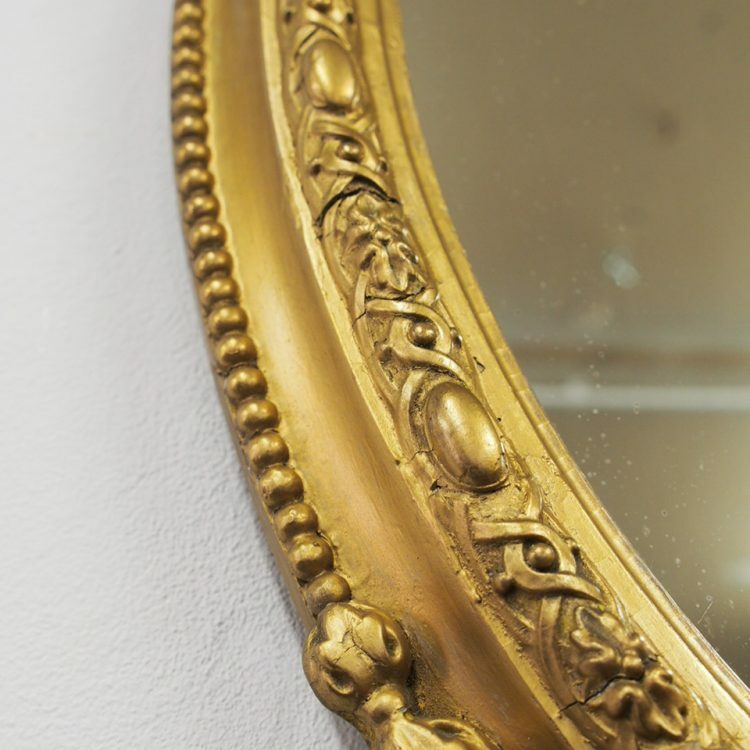 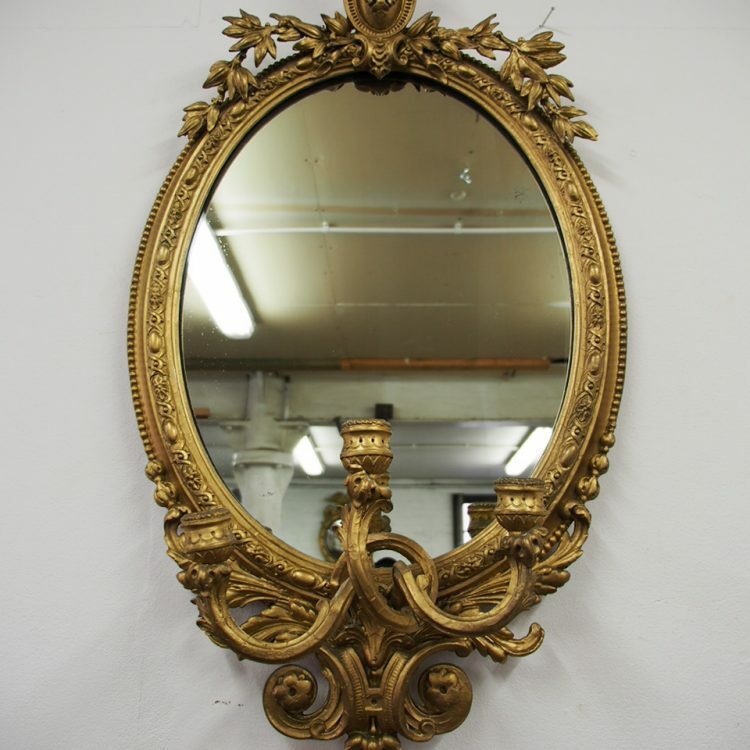 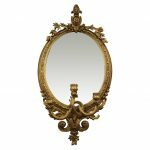 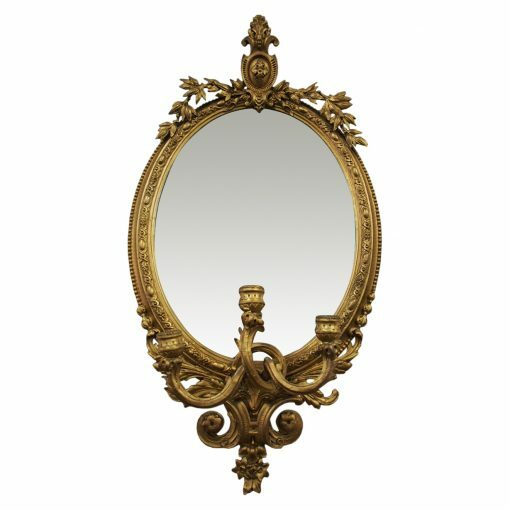 Circa 1830, giltwood and gilded gesso girandole mirror. 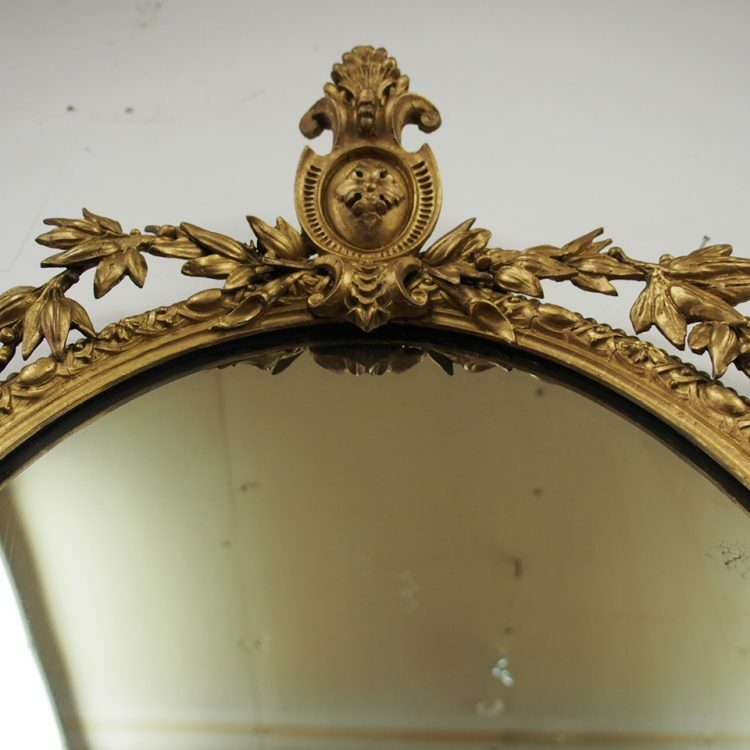 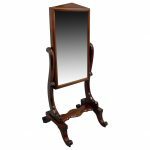 The oval mirror plate is in excellent condition, and is surrounded by a moulded frame with neoclassical decorations and a row of beaded decorations. 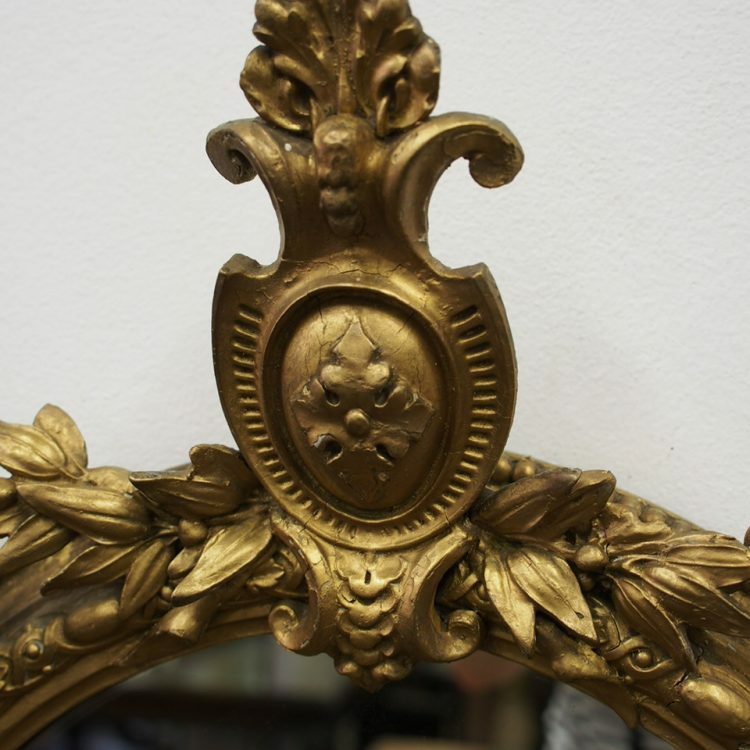 It is surmounted by a crest with foliate decorations to the sides. 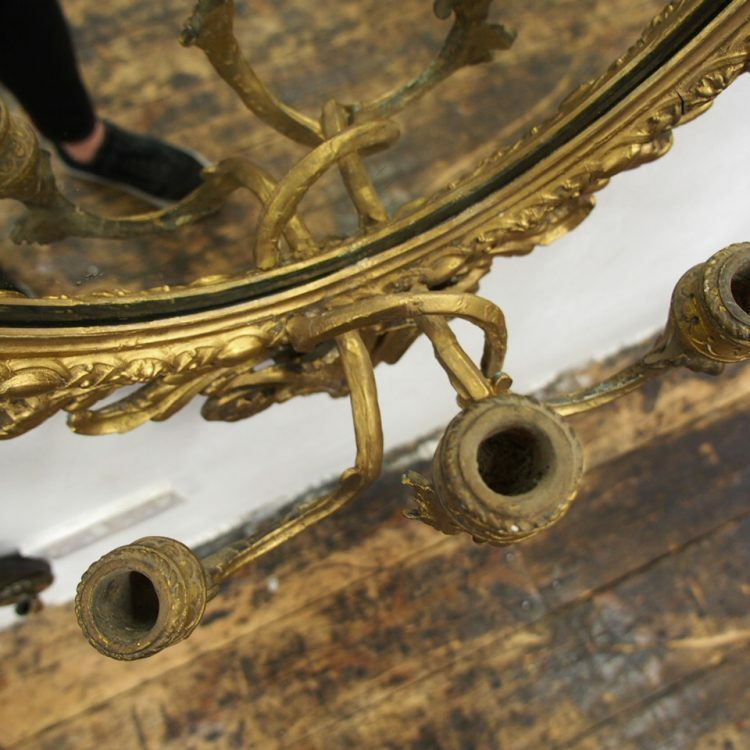 The base has three candelabra with interwoven stems above elaborate open foliate decorations.